The brewhouse is sized at twenty barrels. But in an interesting variation, the mash tun is sized larger, at 25-barrels, to allow for larger malt bills when brewing 'bigger' beers. And Ocelot's beers are indeed 'big' (higher alcohol) and but well-made, especially considering the brewery only recently opened to the public, on 9 April 2015. 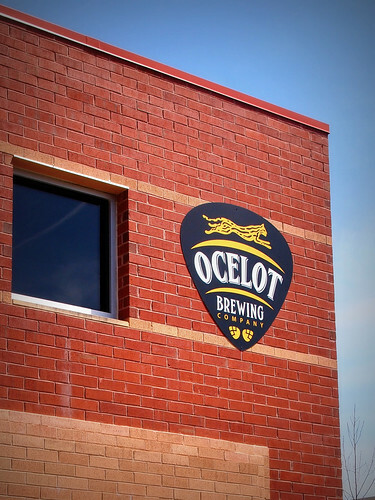 But why the name Ocelot Brewing Company? Ocelots are feral cats native to Central and South America, not to Virginia. The brewery is named not for the animal but for a song of the same name by the band Phish, a favorite of the owner/brewer Adrien Widman. Indeed, the names of the brewery's beers are other song titles or lyrics, such as Lemon Yellow Sun, Tangerine Trees, and My Only Friend, all three of which were on tap the day I visited, 12 April 2015. Ocelot's taproom is open to the public. 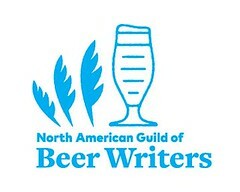 Its beers, draft-only, are distributed in the area. Website: ocelotbrewing.com. 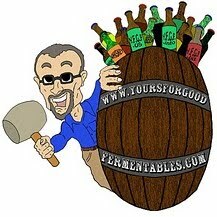 A beer barrel isn't an actual thing; it's a unit of volume measure equal to thirty-one U.S. gallons. 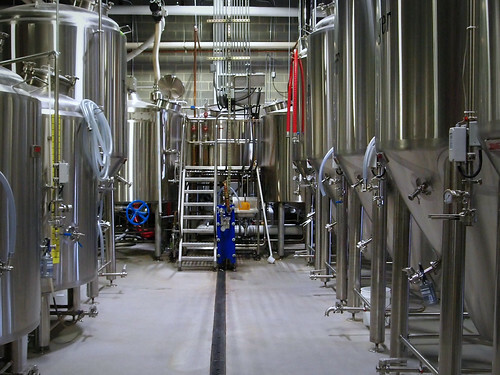 Thus Ocelot's brewhouse, in one batch, will produce six-hundred and twenty gallons of beer.